Ultra Compact Power Bank Charger with clip attachment. Black and Gold. Compatible with Mobile phones, GPS, MP3 players and digital cameras. Will double the the standby and talk time of all mobile phones. 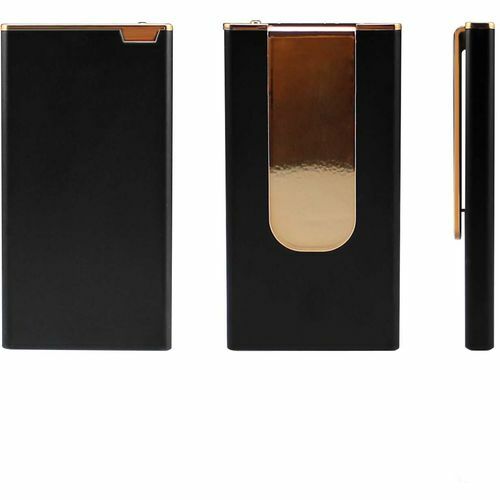 Ultra slim (8mm) smart metal case with handy clip to attach to waistband or pocket. Comes complete with additional cables and connectors for most smart phones.